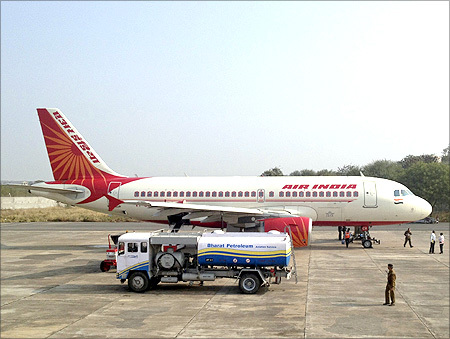 The impasse over reinstatement of 101 sacke pilots of Air India continued as the airlines on Wednesday withdrew from Delhi High Court its proposal after Indian Pilots Guild sought amendments including induction of a retired judge in a manage ment committee formed to deal with it. "I am also withdrawing the proposal and let the (civil) suit continue," Lalit Bhasin said responding to the options provided to the national carrier by the court that either "have an independent committee or the suit (of AI) will be kept pending till the termination issue is resolved by it internal committee." Rejecting the pilots' proposal, which was concurred to by Justice Reva Khetrapal, the lawyer for AI said "we have already constituted a high-powered committee consisting of two Board-level Directors and one Executive Director to look into the cases based on appeals received from the said former pilots. No one from outside would be allowed as it is our internal matter." Initially, the pilots sought 30 minutes' time to decide as to whether they agree to AI's offer and later, they reverted back to the court and sought two amendments in the proposal that either an independent committee should look into the reinstatement or AI not be allowed to withdraw the case till the time the management committee decides the matter. "This is a bargain. We have taken disciplinary action against them. Kindly see an order of a division bench in another case relating to the training issue... it has been held that the pilots who have been on an illegal strike cannot get the benefit of training," Bhasin said. "They (pilots) are not in a position to bargain. You (Bhasin) have a duty towards to your client but you also owe a duty towards the court and the society at large and you have to adopt a fair approach," Justice Khetrapal said. 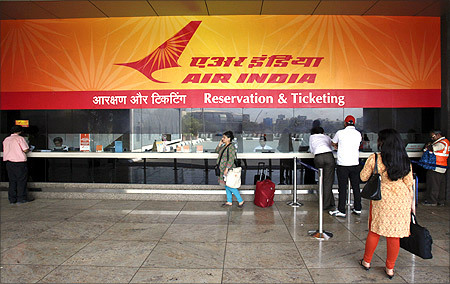 The AI, in its proposal, said "despite being beyond the scope of the pending suit proceedings, the plaintiff (Air India) had in deference to the noble sentiments of the court assured that sympathetic consideration would be given to the claims of former pilots whose services were terminated in May 2012." It also said the management would review the termination of those pilots who file appeals with the committee within seven days and a decision would be taken in six weeks thereafter. However, senior advocate C A Sundaram, appearing for the pilots, sought amendments that the term 'appeal' be substituted by 'representation' which be can be filed within three days and will be decided "preferably" within four weeks. The proposal also said the pilots should "forthwith withdraw the petiitons filed before the Bombay High Court challenging the terminaiton orders and de-recognition". The pilots replied saying the pleas before the Bombay High Court would become "inconsequential" if the termination issue gets resolved. The counsel for AI strongly objected to the proposed amendments that either an independent panel, having retired SC/HC judges, be constituted or the national carrier be not allowed to withdraw the case till the issue of sacking is resolved. The court, which asked the AI to release some money to the pilots for the period prior to the time they went on strike, then adjourned the hearing to July 23 when the pilots and the national carrier would apprise the court about their future stand in the pending case. Earlier, the AI management had filed an injunction suit for seeking to declare the strike as illegal and later, filed an application for initiation of contempt proceedings against the striking pilots. The pilots later decided to call off their 58-day-old strike and the court then asked the Air India to expeditiously decide their reinstatement issue. Earlier, the court had asked the national carrier not to sit over the conciliation process for reinstatement of 101 sacked pilots and to desist adopting a "vengeful attitude" towards them. The pilots' plea that the management was not fulfilling its assurance to consider their reinstatement sympathetically in a time-bound manner had led the court to ask Bhasin to conclude the process within four weeks. AI management has constituted a committee comprising of senior executives K M Unni, SBO head-MRO (Airframe), N K Jain, Director (personnel) and R Harihar, ED (projects) and ED (IR &I) to negotiate with the pilots about their demand of reinstatement of the pilots.